Last minute e-mail on Dec 27th produced 5 riders at Canada Water on one of the nicest December days that I can remember. 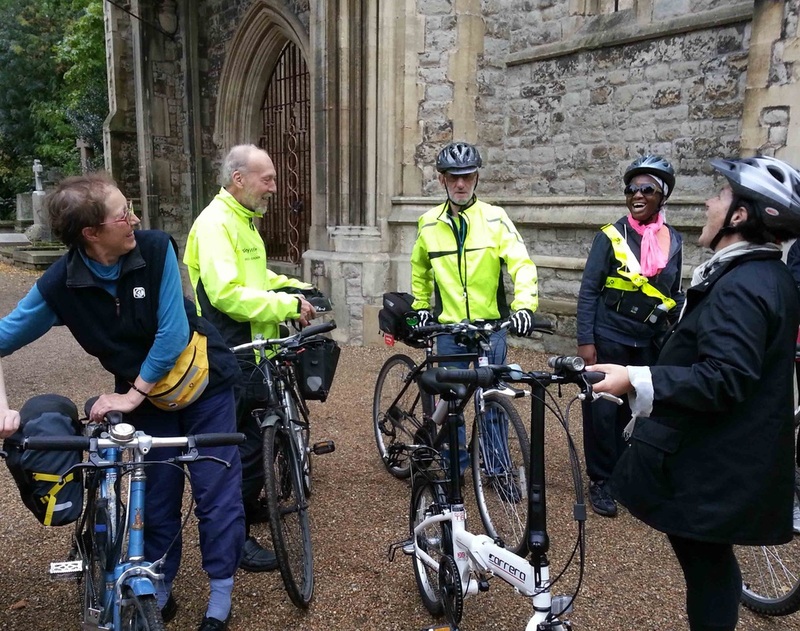 Three were from the summer's Grange Get Cycling project, the other 2 were my co-leaders, David and Werner. Did the scenic circuit along the river to Greenwich, up through Greenwich Park and back through Deptford and Southwark Park. Found the path from Surrey Canal Road to Oldfield Grove blocked off at the railway arches. Not clear why or how long this blockage will last. Next ride Jan11th - hope we get the same great weather! Next ride Dec 14th, Canada Water start/finish. Also planning to keep rides running on 2nd and 4th Saturdays through early 2014. Leader Werner. Six riders at the dry start, including 2 new riders, father with rather young daughter. Headed along the river westwards. By Hays Galleria rain had set in and father and daughter ere getting a bit chilled so headed back along the route we had come. Remaining riders continued and were rewarded with view of QRB Gloriana, which the Lord Mayor had parked near HMS President, while waving at wet subjects from the comfort of his coach. Continued on the planned loop back to Rotherhithe, getting rather damp! 7 riders at Peckham Square for the 10am start, plus Bruce leading. 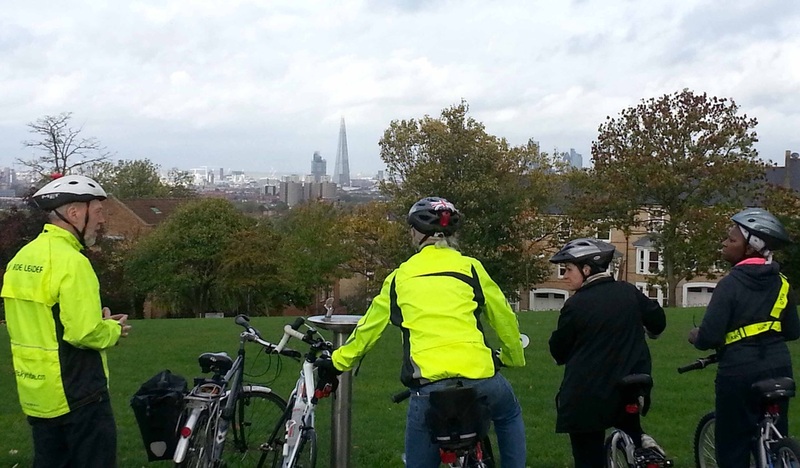 Up to Dulwich Park, then more uphill to Camberwell Old Cemetery. 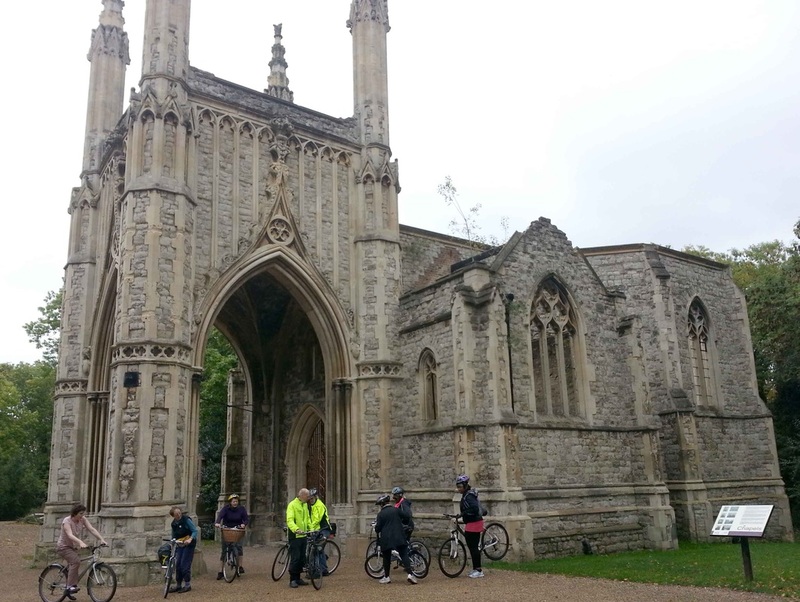 Undulating to Nunhead Cemetery where a delayed rider caught us up, so we were 9 from there on. Back to Peckham via Telegraph Hill (breezy but great views across central London) and Kirkwood Nature Reserve. This is an attractive small strip of woodland near Cossall Park with paths, seats and a pond. On a wet, grey, morning, 11 riders, including 9 new riders who had seen the ride on the GoSkyride web site, plus Werner leading. Of the new riders, 4 were children accompanied by parents. 14km circuit across Southwark Park, round to the Connect 2 Bridge, big loop through Deptford to the river, back past Greenland Dock and Stave Hill. Route at http://taffimai.w2.org.uk/healthy-rides/Rotherhithe-20130914.html.